Foil vs Rotary Shaver: What's the Difference? Foil vs Rotary Shaver: What’s REALLY the Difference? What the #[email protected]& is Wet & Dry? Keep Your Electric Shaver Clean to Prevent Acne! 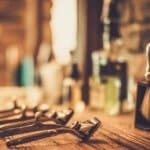 Is an Electric Shaver Worth the Investment? What was once deemed the best razor for men is now sitting on your bathroom counter. Yeah you know the one, it’s the one that is about 20 shaves past its prime. Blades are clogged with shaving cream and hair. And most of all, you don’t want to plunk down your hard earned cashed on another damn set of cartridges that are just going to be thrown out in a couple of weeks. So your thinking perhaps that a electric shaver might be the ideal product for you. I mean why not? It lasts on average about 20 years and for the most part provides a pretty quick shave in the morning. So after doing a bit a research, you may start to get overwhelmed with all the options available to you. I mean there are just SO many to choose from. 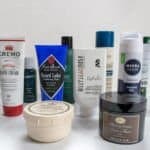 What if you you have sensitive skin? Personally when I shave I get nasty razor burn on my neck. Will an electric shaver make it worse or make it more bearable? Will it be cheaper than a safety shaver over the long term? By the end of this guide you will be equipped to pull the trigger on the right electric shaver for you. You worked hard for your cash, the last thing you need to do is blow your money on some second rate electric shaver that will last you about one year and just start plucking at your hair. So lets take a look in this in-depth electric shaver guide and discover a few of the mechanics behind electric shavers so you can perhaps arm yourself with great knowledge so you can buy with confidence and most importantly satisfaction. Why are there two types, and most importantly, what are the advantages? These things have been around for years, in fact they on the first electric shavers invented by Jacob Schick in 1923. A foil head contains oscillating blades (blades moves back and forth). Think of something similar to a barber’s scissors or a desk fan where it goes back and forth. With a foil head one of the biggest drawbacks you will come across during your research is how often it is cited that they struggle with the contours of your face when compared to other electric shavers. The reason for this is since the foil head is more rectangular in nature (like a safety shaver) it can only pivot so much when going across your face. Granted you can find foil heads from Braun like this one here, that does allow for some limited pivoting, but getting in and around the nose or chin is often sometimes the biggest drawbacks you will hear from folks that use these type of shavers. You will also find that foil heads are a bit more on the noisy side when compared to their rotary counterpart. When shaving with a foil headed shaver, technique differs from that of a rotary head. You definitely don’t want to go in a circular motion. 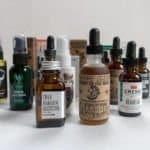 This may take a bit of getting used to if you are coming from a rotary electric shaver, while it might not be that far of a leap if you currently use a safety razor. One thing that you will see in much of the marketing speak around these types of electric shavers is the mention of microvibrations per minute. Essentially all that is telling you the higher the rate, the more hair that can get into the foils and be cut. 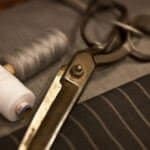 Great, so now you know some great key takeaways for foil headed trimmers! The rotary head has three discs (has been this way since the mid 1960s when it was introduced by Philips). 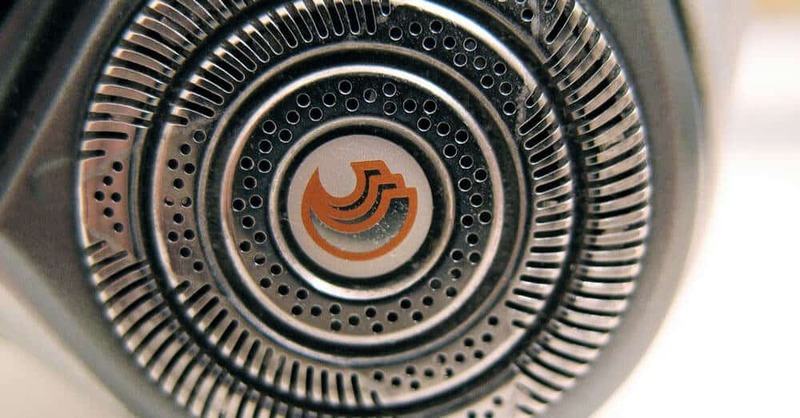 Since the 1960s rotary electric shavers have come a long long way in terms of looking sleek! So how does a rotary disc exactly work? Within these three discs you have the razors that spin around incredibly quick to cut your beard. Just like how a weed wacker works. The biggest benefit you will always read about rotary style razors is that they can bend to the contours of your face. Most rotary heads can pivot 360 and also flex inwards within the middle of all 3 rotating blades to get closer shaves, especially around the nose, chin, and jawline areas. However to counteract that point, a foil electric shaver will be much smoother and closer shave along the cheeks. Its all about compromise between these two shavers, hence why consumers have two options. If you were to use a rotary head and shave up and down you are going to experience some really nasty pulling of your hair and give you a miserable experience. Alright great, now you know a bit more about the differences between a foil electric shaver and a rotary electric shaver! Alright so now we know a bit more about the different types of shaving heads, now how do we go about deciding how to maximize their use? 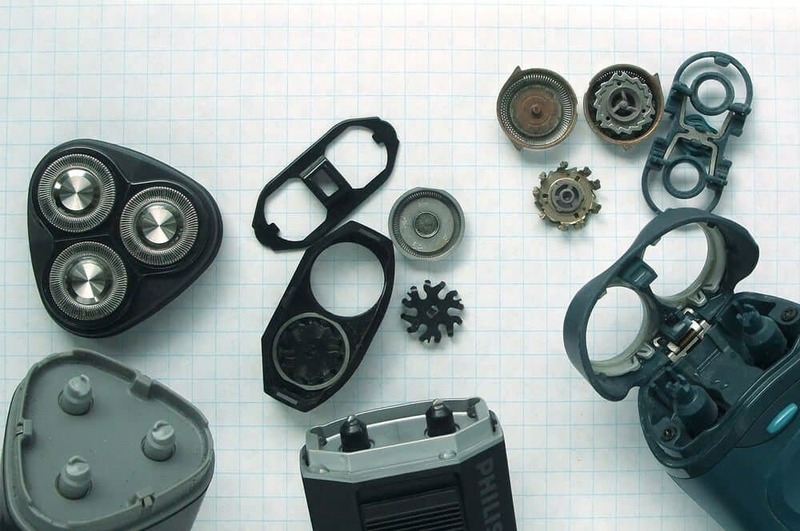 You may find while browsing through the shaver types, you have some that are wet & dry, while others make no mention to their functionality, what gives? 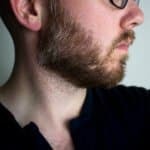 So a wet shave isn’t simply just being able to use the shaver in the shower (I know that’s what I originally thought). I was wrong, what wet actually means is the ability to use the shaver with shaving cream. So you can slop on some high quality shaving cream like The Art of Shaving Cream and begin going over your face with your electric shaver. So the whole point of buying an electric shaver was to save money and not worry about buying all the extras that come tacked on with a safety shaver correct? Well yes of course! However, if you are like me and have super sensitive skin, an electric shaver that has the capability of shaving ‘wet’ might be a godsend to the skin on your face. In addition to helping out people like me with sensitive skin, when you actually add the shaving cream to your face, the cream itself bonds to your follicles and they end up swelling. When your hair follicles get larger, they are easier for the shaver to cut. Another advantage to shaving with a wet electric shaver is that typically you will get a bit closer of a shave as opposed to using it dry. 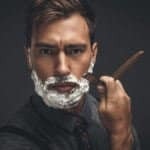 So if you are looking for the closest shave you can get without relying on a shaver a wet shaver might be ideal for you. This is probably the most overlooked portion when reviewing electric shavers. However, if left in a pinch you could be in a hairy situation (see what I did there). Lucky for you though, most electric shavers nowadays have an extraordinarily quick charge time. I’m talking less than 5 minutes charging and you have enough juice to last you for the morning shave. Yeah, they are that quick! To note, that in most cases with electric shavers, you cannot plug them in and shave at the same time. The reason for this is that since as we discovered a high amount of wet & dry electric shavers on the market, manufacturers put in a safety switch to prevent people from electrocuting themselves while trying to shave with their device plugged in while showering (no comment). I know that you definitely wouldn’t try something like that, but if you’re wondering why your soon to be electric shaver seems broken when its plugged in, this is why. You can expect from most shavers in the marketplace to yield an average battery shave time of about 45-50 minutes. Another key feature to also look out for that is closely related to battery life is if they have a travel lock. This travel lock is exactly how it sounds. If you are off on a business trip, you can simply put your electric shaver into a lock mode so it doesn’t turn on while in your suitcase draining the battery away. Lets just say that owners of modern day electric shavers have it made. Even if it is not a pure wet & dry shaver, more often than not, most electric shavers allow you to pop off the foil or rotary head and rinse it under water. The easy convenience of being able to rinse the head of your shaver under water makes cleanup a breeze. Of course most shavers still do of course come with the mini brushes that you can use for the hard to reach areas. When looking at high end electric shavers you will come across several that have a docking and cleaning station (sometimes referred to as ‘Clean & Renew’). What’s great about these cleaning system is their multi functional purposes. The dock itself will clean the head of the electric shaver with alcohol, charge the shaver, lubricate the blades, and ultimately dry your shaver. All of this is done when you simply rest the shaver in the cradle and click a button or two. With the cleaning station however, there are some additional costs associated with it. Every cleaning station requires a cartridge to be inserted (this contains the alcohol and lubricant). Now this isn’t required to charge your shaver, so you don’t have to feel pressured to have a cartridge on hand in order to keep going (this isn’t like when the colored ink in your printer runs out and you only want to print in black and white but can’t because one part is empty). Cleaning your electric shaver on a regular basis will help reduce the occurrence of acne as it will remove all of the natural oils found on your skin off the head. With the cleaning cartridge, you can pick them up for pretty cheap and expect to spend around $60 a year on this total. Each cartridge gets about 30 or so cleanings out of them. When using an electric shaver, you want to make sure that you know how to use it correctly. As outlined above in the foil head vs rotary head section. Remember, foil head is used up and down or side to size. While a rotary head is used in a clockwise circular motion. One of the leading causes of irritation while using an electric shaver is when you go over an area multiple times. 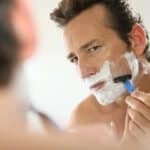 This is why some people may opt to purchase a higher end shaver as it may reduce the number of times they need to go over their face in order to get a clean shave. To help further prevent irritation, several folks opt for the shaver that has a wet shave option. This way they can use their goto shaving cream in order to make the shave a bit more comfortable. Regarding the occurrence of acne while using an electric shaver, as mentioned in the section above you want to make sure you can clean the head easily. Also pre washing your face before you shave will help reduce the spread of acne. Blades? I thought I got away from using replacement blades?! One of the major perceived benefits for electric shavers was that you don’t have to purchase blades. Correct! 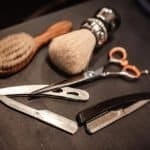 You don’t have to purchase them on a regular basis like your normal safety shaver, however, about once every year and a half or so, you should consider getting new blades if you are experiencing any pulling or gradual irritation thats occurred during the use of using your shaver. Typical cost for replacement blades are still significantly cheaper than buying replacement cartridges for a safety shaver. They will set you back around $30 for a foil head and about $35 for a rotary head. The biggest benefit to the electric shaver is convenience. Especially if you are shaving on a daily basis. Some guys who just need to get out the door quickly in the morning and can’t concentrate on sharpening blades, lathering on shaving cream, etc. This is why there is a market for electric shavers. Whether you are shaving in your car on your way to work, or just simply don’t want to worry about cleanup, electric shavers make sense. So there you have it, an in-depth view at electric shavers and the key items to look out for. 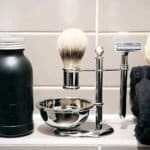 So whether you are look for a highly rated shaver from Braun, or one of the top selling Norelco shavers, you know know what to look for when comparing them. So what one are you going to pick?